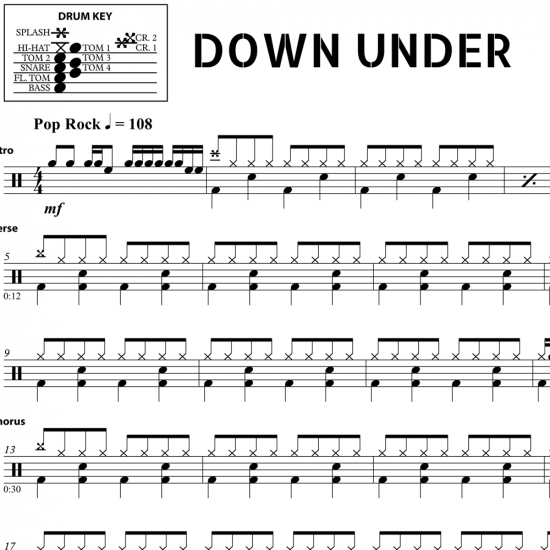 The full drum sheet music for “Down Under” by Men at Work from the album Business as Usual (1981). 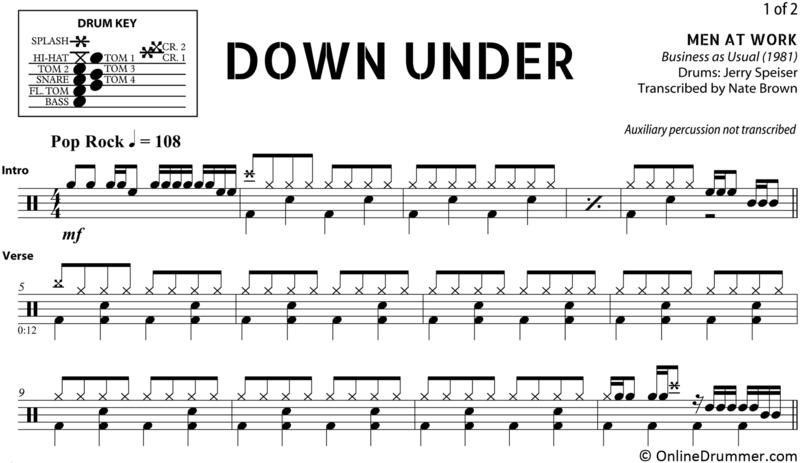 Jerry Speiser drives this hit song with a classic four-on-the-floor beat and iconic drum fills on his five toms. This song can be played on a three or four tom setup, as well. Just be sure to maintain the tonal relation between the toms in each fill. For example, if the toms go high to low on the sheet music, make sure the toms you are substituting also go high to low.